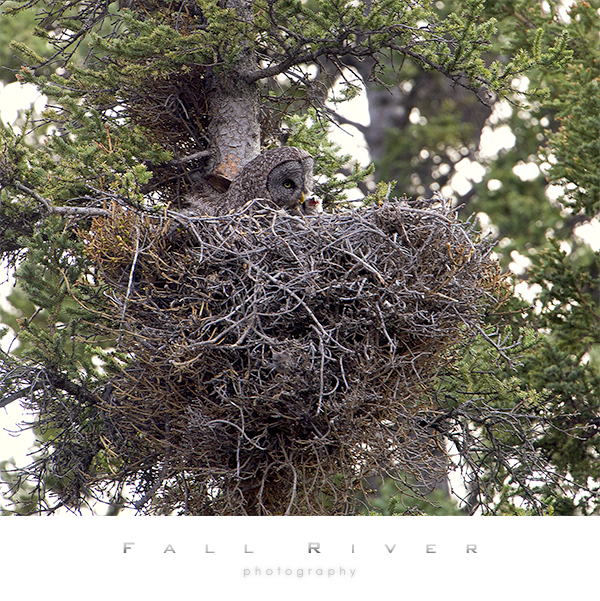 The great gray owl chick fledged and I had the privilege of showing up a few minutes after the event and then spending the better part of two days with him/her. What a great time that was. The chick seemed pretty confident and not really fearful. He definitely wanted to climb things and get on top of snags and stumps. His feathers were not developed enough to get any air really but he hopped along well. 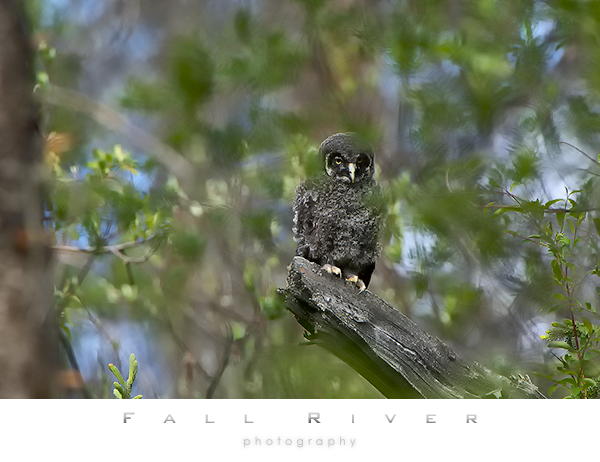 Moma owl kept a keen eye on her chick and was very tolerant of our presence. These birds have a reputation of being very tame and that was very conducive to getting our photographs. The adults would come in and feed the chick without any hesitation regarding us watching the whole thing. It was a powerful experience to share that with these guys. Eventually the little guy made it up the hill and he started to move too fast throughout the day to locate him. Here’s to hoping he has a great life! What a GREAT Christmas gift we got this year. On Christmas Eve day I was out and about and a little voice in my head told me to go down this road near our house. As I was approaching a curve the truck in front of me scared up a large bird and immediately I thought OWL! I also immediately hoped it was a gray owl as I have not yet seen one. 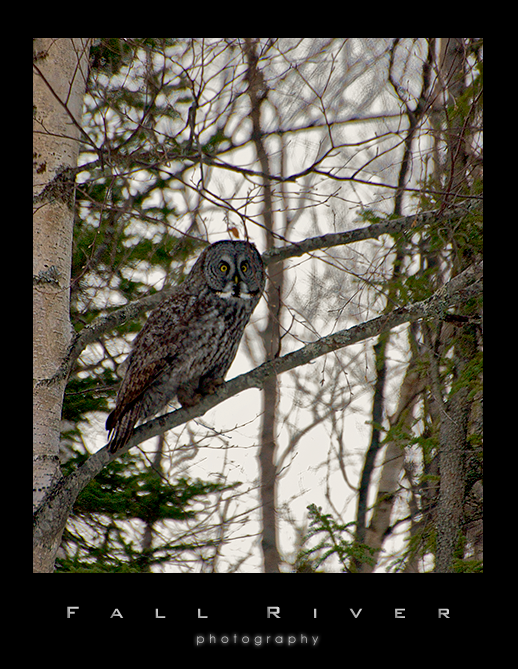 So I carefully turned around and slowly headed back to the tree and there he was, a Great Gray Owl. What a magnificent bird, just stunningly beautiful. I reached over carefully for the camera, not taking my eyes off of him, and grabbed…nothing. No camera. Arrgg. Always Carry a Camera. So I watched him for a couple of minutes and headed home. The good news is that I knew where he was now and I expected to be able to find him again. So Christmas Day we headed out for some owling. We looked for him for a good hour or so and we were getting ready to leave when Dee spotted him. We got to photograph and observe him for about ten or fifteen minutes. Totally topped off my day and made it an absolutely great Christmas. I hope you and yours had a great Christmas too!